Toned legs are a beautiful thing, on anyone. How do we work them? By exhaustion and of course, lifting weights. 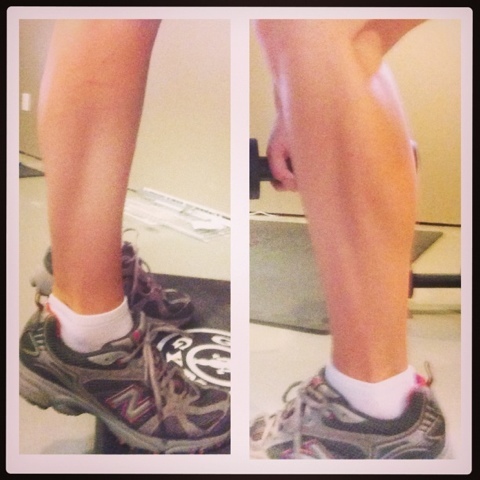 Your legs contain the largest muslces in the body which means they burn the most calories when you work them. So let’s get crackin’ with 6 exercises that will work all the muscles in your legs. Sumo Squat– want to really make this exercise count? Pick up some heavy weights and squat! Do as many as you can until fatigued. 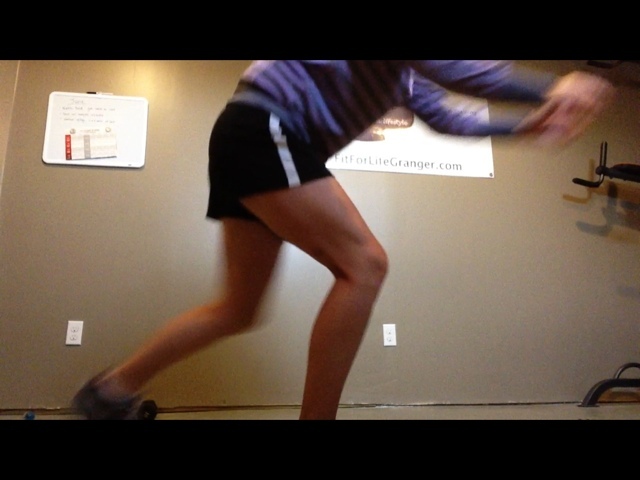 Screamer– Put your weight on the heel of one foot with the other leg behind you, like a lunge. 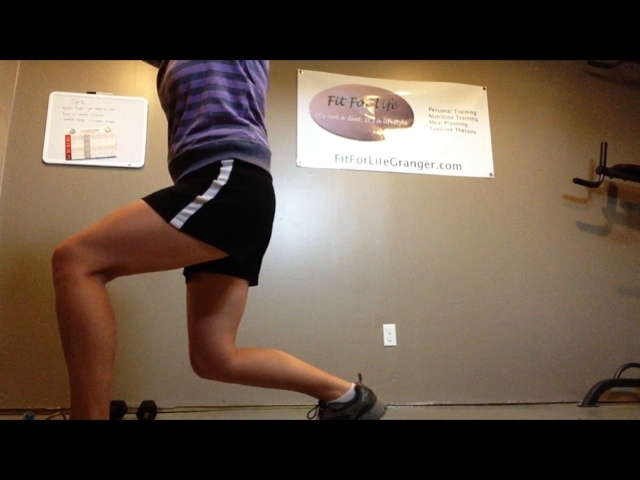 Keep your weight planted on the front foot and bring your back leg up (like a knee strike). Repeat for 30 seconds to a minute. 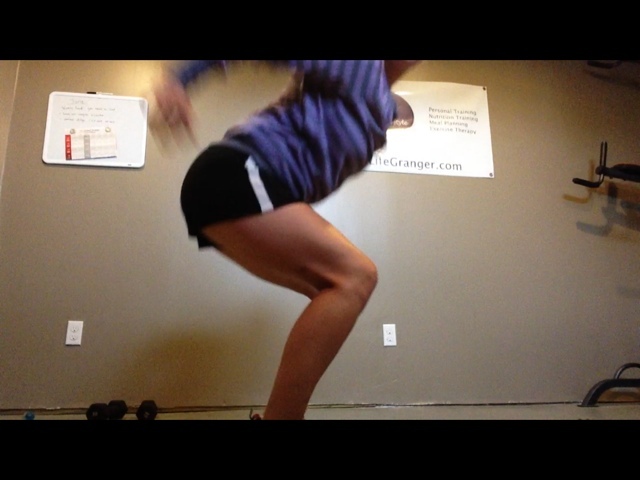 the lower you squat the more it’ll work, so get down! Jump Rope– time to start jumping to work those calves. You can use an imaginary jump rope or a real one. 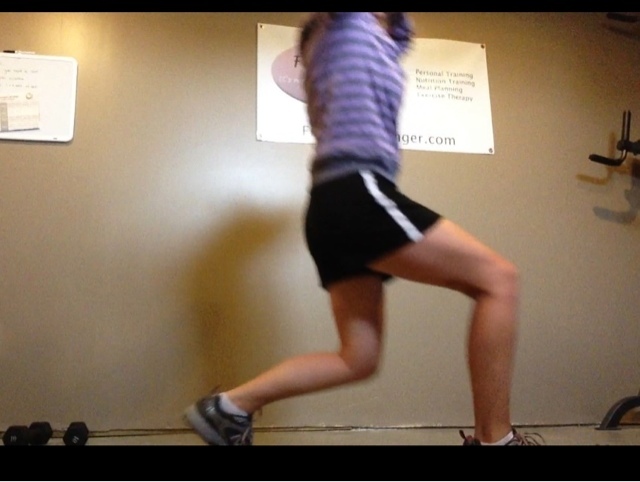 Clockwork Lunges– Just think of a clock and lunge at 9, 12, 3 and then 3, 12, 9. Repeat. Notice how my knee stays over the ankle to avoid injury. 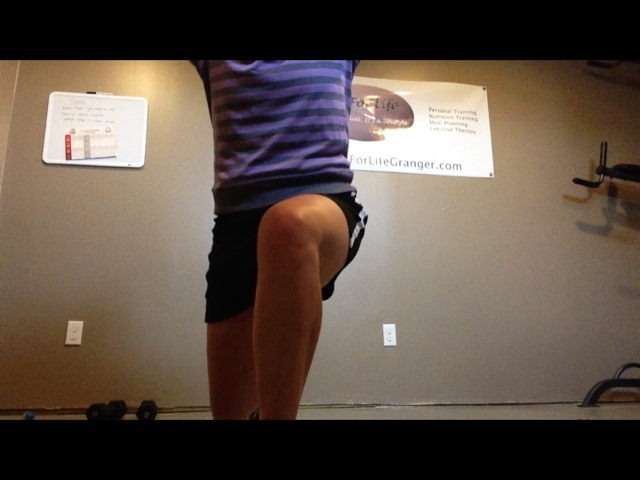 Dead lift– This works your hamstrings. Make sure to keep a flat back the whole time to properly do the exercise and not risk hurting your back. 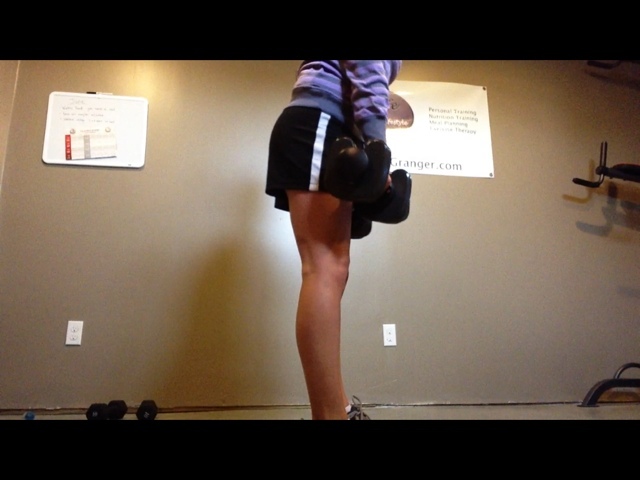 Lower the weights towards the floor and keep your legs straight but not locked. 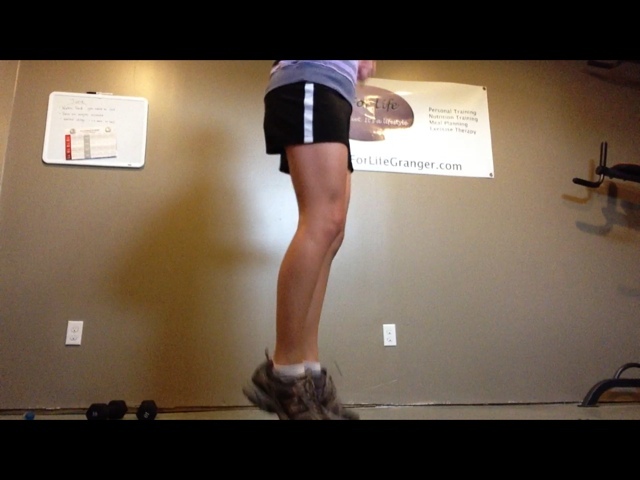 Lift back up feeling it through the back of your legs. I used 20 pounds for this exercise. Go SLOW and you don’t have to start as heavy. Do 10-12 reps being the most you can do. Get to work on those legs. Be sure to warn up first and stretch after. Thanks for stopping!